Looking for a fun craft to do with the kids? 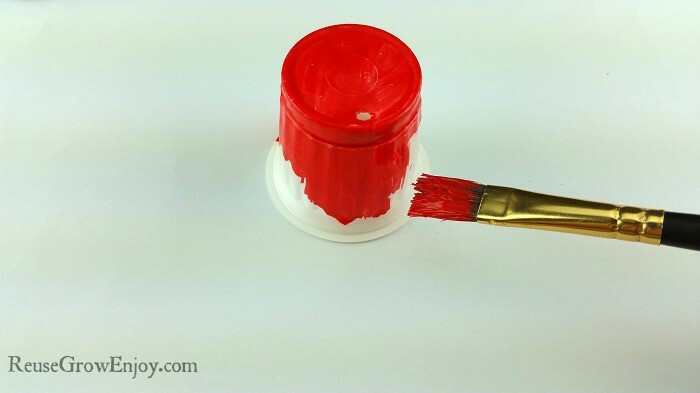 Check out this easy K-cup craft! 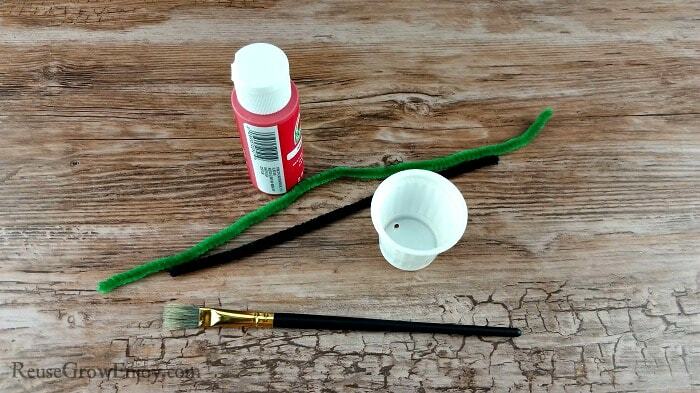 You can make an apple from a reused K-cup, paint, and some pipe cleaners. Not only is this craft really easy to make, it is pretty cheap too! To make this K-cup craft, you will need one empty and cleaned out K-cup. Some red craft paint, paint brush, green and black pipe cleaner and a pair of scissors. The longest part of this whole craft is allowing the paint to dry. I did two coats of paint on mine to get the color red I was looking for. You can, however, do it with only one coat if you do not have enough time to allow both coats to dry. Using the paint brush coat the whole outside of the K-cup. Allow to dry and coat again. 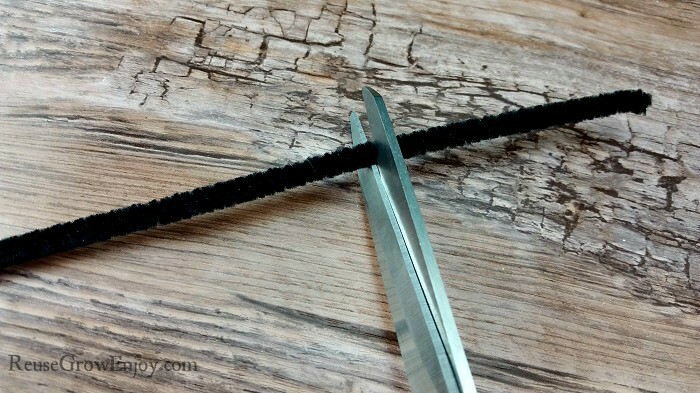 Now cut off about 2 inches of black pipe cleaner. 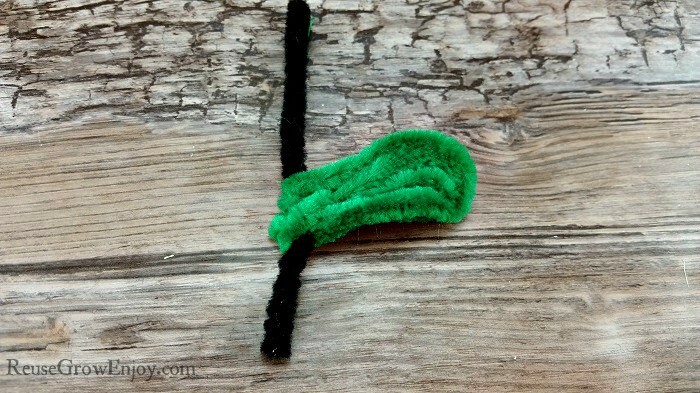 Grab the green pipe cleaner and wrap it around the short black one. Then make loops to the side to form a leaf. Make each loop with the green one slightly smaller than the last one, so that it fills in the leaf. 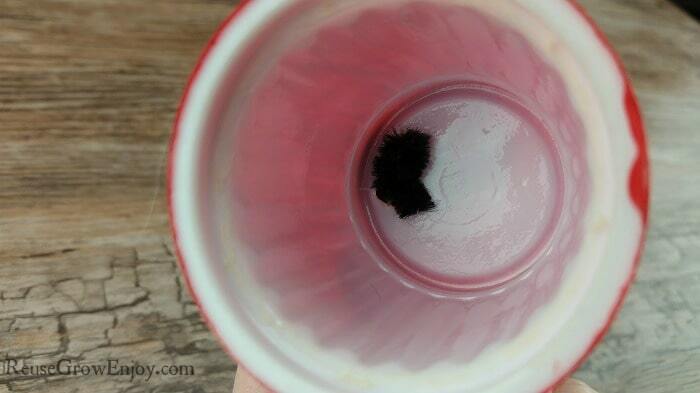 After you have your stem and leaf formed, put the end of the black stem into the hole on the top of the K-cup. 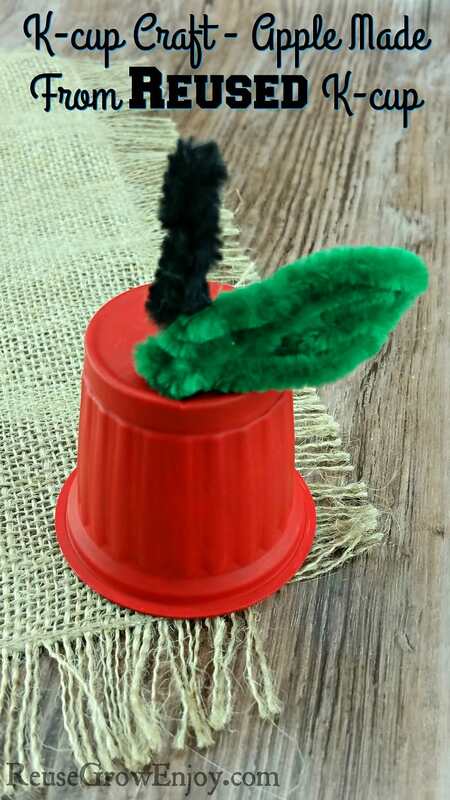 Then on the inside of the cup, twist the end of the pipe cleaner to the side so that it does not pull out easy. Now you have a cute apple K-cup! If you liked this craft, here are a few others you may want to check out.